50 Fun Things to do in the Tampa Bay Area - Top Ten Travel Blog | Our experiences traveling throughout the US. Tampa, Florida is most well known for being home to Busch Gardens, part of the SeaWorld family of amusement parks, and one of the most visited theme parks in the US. The Florida Aquarium and Lowry Park Zoo are 2 other notable attractions in the area, popular with both locals and tourists. Additionally, you will find many beautiful beaches, some of which are ranked amongst the best in the country. Tourists and snowbirds often frequent the beaches during the cooler winter months. Although summers are hot and muggy, the beaches are relaxing and cool during the fall and winter season. Amusements and beaches aside, Tampa has much more to offer both locals and tourists. 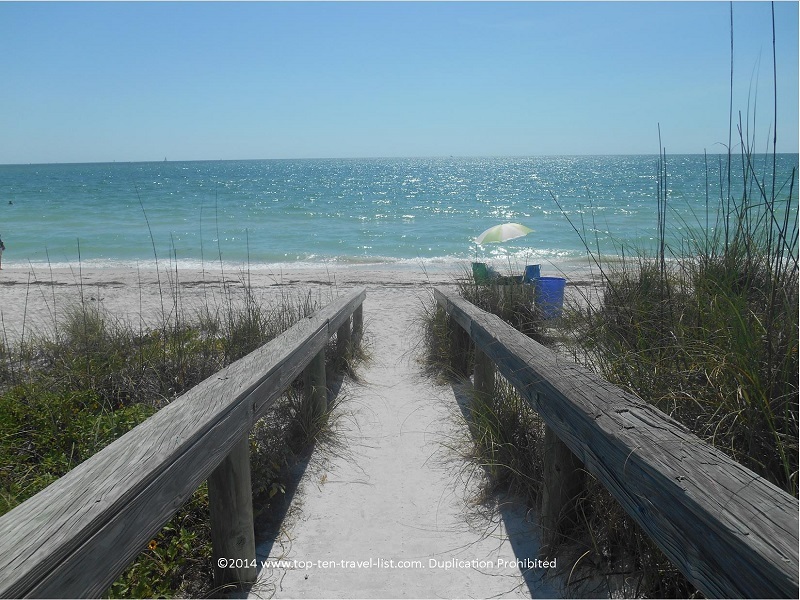 Numerous parks and preserves provide a peaceful escape from the noisy beach crowds, not to mention a shady escape for summertime strolls and bike rides. 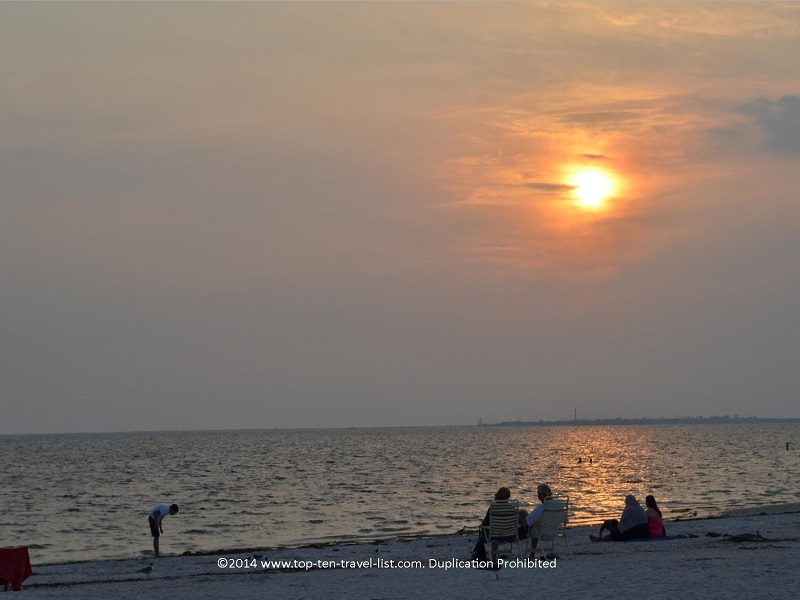 Beautiful Gulf coast beaches offer year round sunshine and relaxation, while cultural attractions add endless educational and entertainment opportunities for tourists and locals alike. 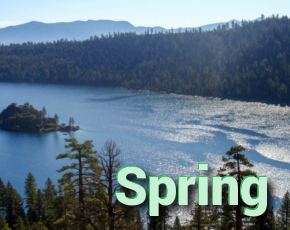 And don’t forget to plan some time to visit a preserve or two. These beautiful parks, scattered about the region, give you a glimpse into what Florida looked like before everything was built upon. And, if you visit during the right time of the year, you are more than likely to see a gator and other forms of small wildlife such as armadillos and gopher tortoises. There are so many diverse things to do in Tampa area to suit everyone’s interests. Take a look at my list of 50 fun things to do in Tampa Bay and feel free to share some of your personal favorites as well. Grab your hiking shoes and/or bike and plan for a relaxing day at shady Hillsborough River State Park, one of Florida’s oldest and most beautiful parks. It is one of few Florida parks with rapids (Class II can be spotted along the trails). The park is so peaceful you will forget that you are just 20 miles from the city. 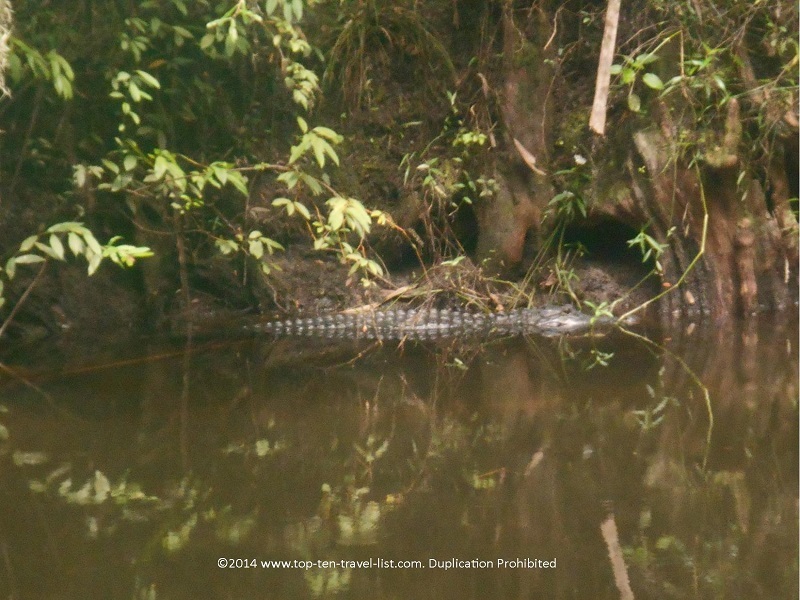 Pictured above is an alligator that we spotted along the Rapids Trail. Oftentimes, they are hard to spot as they blend so well into their surroundings! 7 miles of trails, a large population of alligators, canoe and kayak rentals, a beautiful bike loop, an on site cafe, and a popular campground can all be found at Hillsborough. The setting is relaxed, natural, and great for photography. An oasis amongst the suburban congestion, the Upper Tampa Bay Trail is a beautiful escape for just about any type of recreation. You are likely to see everyone from walkers to rollerbladers to runners out enjoying the day on this gorgeous 7.5 mile paved trail. The flat, mostly tree lined course is a great place to escape the summer heat and even more comfortable during the cooler fall and winter months. Along the course, you will be treated to great views of the Hillsbourgh River. Wildlife sightings are also common, depending on the time of day/year. Grab your bike, running shoes, or skates and head over to this gem for a fun-filled morning, complete with peaceful views. For this bike ride (as well as any other lengthy exercise in the area), I recommend a hydration backpack. You need more water than you think in such a hot climate, with one water bottle not being enough. As an added benefit, you will have multiple pockets for storing useful essentials like sunblock, a camera, snacks, your wallet and keys, and whatever else you might need. Address: There are 6 trailheads to choose from. 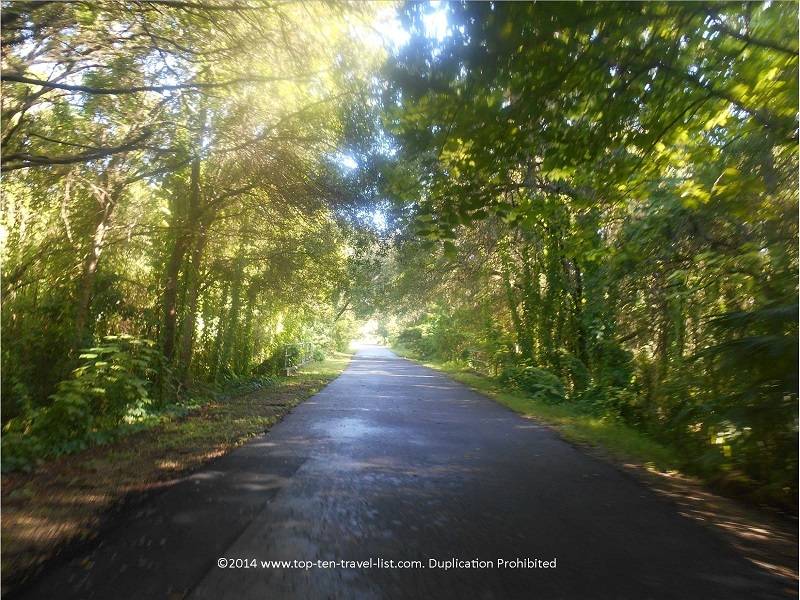 The Memorial Trailhead at: 7499 Montague St. is an ideal place to start your ride. 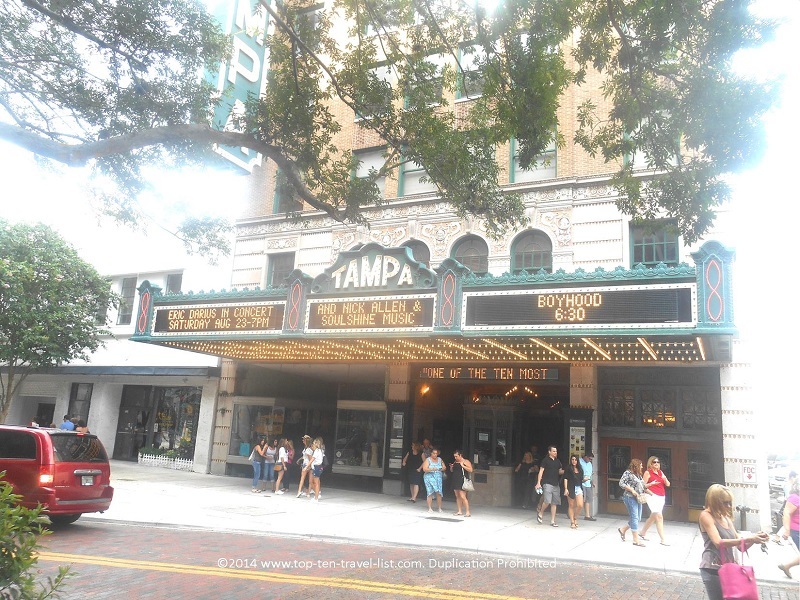 The historic Tampa Theater, built in 1926, has been rated as one of the 10 most beautiful theaters in the world (BBC). This comes at no surprise as the architecture is simply stunning. With an interesting lineup of events throughout the year, including a popular Summer Classic Movies Series and an annual showing of classic holiday films, you have endless opportunities for year round entertainment in a classy, beautiful setting. Pre-show live music and a starry sky set the mood right for the perfect romantic date night destination. One of your best bets for fun, relaxation, and affordability all rolled into one is St. Petersburg’s beautiful Weedon Island Preserve. 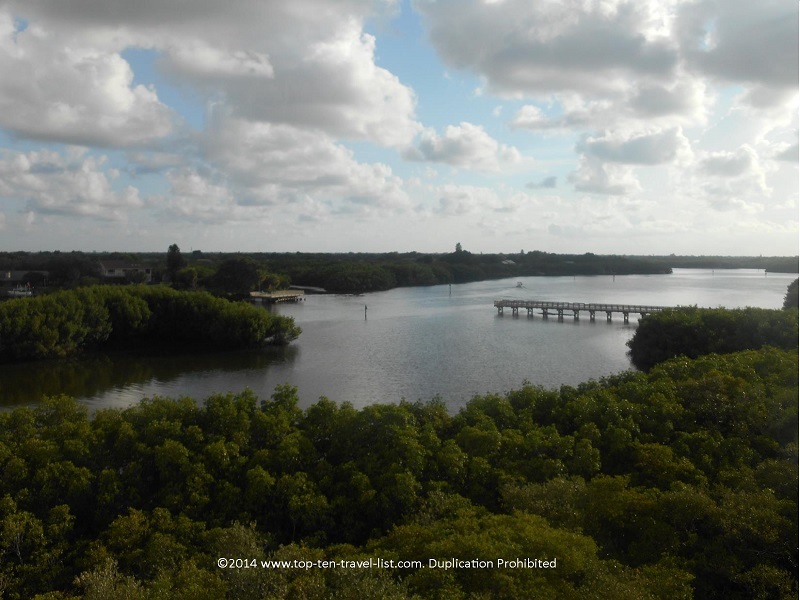 Far away from the beach congestion, Weedon Island provides hours of relaxing fun in the form of scenic, nature trails filled with shade trees and ample wildlife. Views of Tampa and St. Petersburg, as well as the entire preserve from the observation tower are simply incredible. 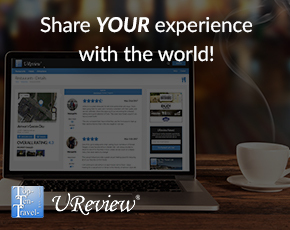 Bring your camera and enjoy this welcome escape from the city and suburban congestion. 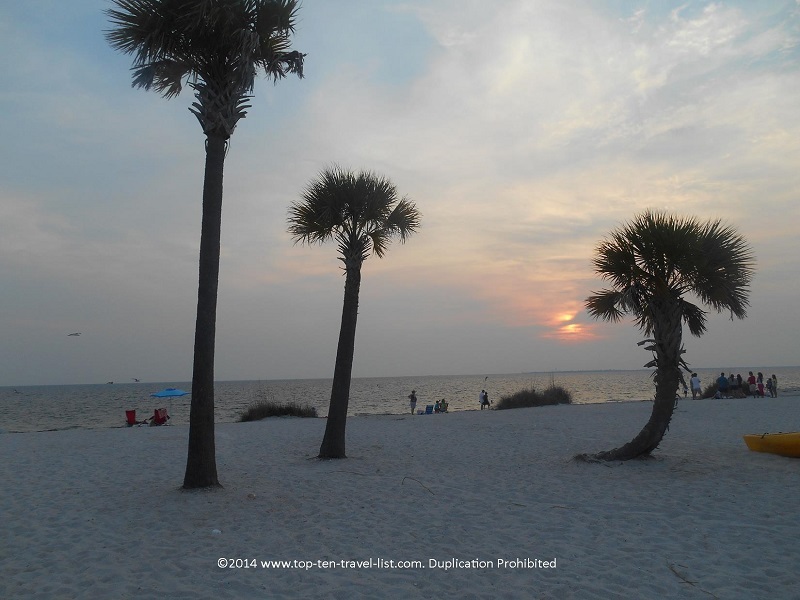 Fred Howard, a beautiful, underrated Gulf Coast beach in Tarpon Springs, provides one of the most picturesque settings in the area for a sunset. Gorgeous white sand, swaying palm trees, and fewer crowds make this an ideal beach to unwind at after a long week. Grab your chair and camera and enjoy a beautiful Florida sunset at this local gem.